AORUS extreme gaming laptop is not only marked by its superior performance but also its persistence for environmental protection. Now they got the honour from the premier international design competition IDEA (International Design Excellence Awards) award for their rice-husk-made packaging. FPC is a much simpler and low energy-consumption process, its smaller and degradable material is extracted from natural plant fibres and starches like rice husks, wheat husks, corn stalks or coffee residues and is made by a specific proportion. This provides the amazing quality for protection when weighed against the card-board-made case and with much more eco-friendly spirit. This makes AORUS gaming laptops such as X5, X7DT, and the flagship X9DT are sheltered in the bunker-like protection. Furthermore, this incredible packaging is esteemed by the remarkable iF Design Award in early 2018. 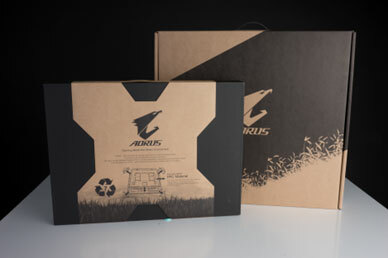 AORUS began the investing for FPC packing just a few years ago and now they offer both astonishing gaming experience and minimum pollution on earth.